SUMMARY: Last year, we published an excellent how-to article on creating a customer-centric marketing and sales strategy featuring Kristin Zhivago. A B2B Summit 2011 keynote speaker in Boston, she will again present her presentation, “The Buyer's Funnel and Your Political Power: Joined at the Hip” at the west coast leg of the Summit in San Francisco, Oct. 24-25. This article, and Zhivago's presentation, explain why you want to listen to your customers, what questions you want to ask them, and how this knowledge will improve the entire buying funnel and help provide Marketing political clout within an organization. The sales team wants leads. Business leaders want revenue growth. When these objectives aren’t achieved at the desired (and perhaps unrealistic) pace, Marketing usually takes the brunt of the blame. This is perhaps one reason why CMOs have the shortest tenure of any C-level executive -- barely surpassing two years according to a Spencer Stuart survey from 2009. One way to turn marketing and sales into a seamless revenue-generating process is to turn the focus of B2B marketing on the customer. Kristin Zhivago, President, Zhivago Management Partners, has been addressing the issue of improving the alignment of Sales and Marketing for more than 30 years. As a business growth consultant, or as she calls it "revenue coach" for CEOs and entrepreneurs, Zhivago has worked with companies ranging from startups to Fortune 500 companies. Zhivago has developed tactics that turn the entire marketing and sales process into a way to understand what customers want to buy, and how they want to buy it. Zhivago’s upcoming book, Roadmap to Revenue: How to sell the way your customers want to buy, will cover these strategies in detail. Successful marketing now takes discipline and a willingness to get into data and logistics, rather than solely focusing on the creative side of the field. Also, marketers must realize that even though Marketing and Sales have different mindsets, good things will happen when everyone is focused on the customer. Zhivago offers a simple, but powerful, definition of good marketing: "Realize that the goal of a successful marketing effort is to reverse engineer a successful sale, so you can manufacture new ones in quantity." Before the Internet age, Zhivago estimates that Marketing was 80% creative and 20% logistics. She now says those numbers are reversed. She believes the tipping point was in 1994, when the Internet became a commerce and content platform as the World Wide Web. Suddenly, people who entered what they thought would be a creative field found out, essentially overnight, that the job was much more technical in nature. While she credits that tipping point as happening a full 16 years ago, Zhivago believes the mindset of many experienced marketers and business school professors has not caught up with this change in communication timelines and data-gathering ability. At one point in time, a marketing message would go out, but there were no results for up to eight months. An advertising campaign might take two months before getting into publications, followed by two or three months of leads. Finally, after six to eight months, some sales closed, proving the value of the marketing effort. Now, feedback is immediate. Marketing emails go out and there are instant hits and conversions from those efforts. This data and metrics on marketing performance are a great benefit for marketers. Actual quantifiable numbers are now available for marketers to bring into sales and leadership meetings and show exactly how good, or bad, specific marketing campaigns are performing. The challenge for marketers is to embrace the data-driven marketing world and make use of these metrics and data. The primary difference made by the the Internet in the selling process is the way it changed the buyer. Today's buyer has a wealth of resources to visit when involved in the buying process. This information on the buyer's end creates challenges for salespeople who might be trained to answer the top 20 questions a potential customer might ask. Today's informed customer probably already knows the answer to those questions, perhaps even from his/her own content marketing and lead nurturing efforts. And the customer likely has very specific and very technical questions to help make a final decision, which Sales needs to be prepared to answer, to remove the final barrier to a sale. Zhivago questions whether an enterprise customer views sales and marketing as separate disciplines, but rather sees both as parts of their overall buying process. As such, B2B organizations face the challenge of making this entire process seamless from the customer's perspective. Most, if not all, B2B companies' customers will have shared buying questions, wants and needs at different stages of the buying process. 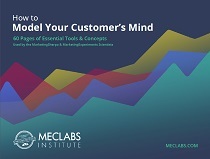 At some stages, Marketing should be meeting those customers' desires and nurturing the lead. There then should be a defined stage in which the lead is handed to Sales. Passing through these stages should be invisible from the customer's perspective. Zhivago believes one of the biggest problems facing companies today is finding a solution on how both Marketing and Sales can meet the needs of the customer's buying process. This means understanding where the customer is in that process and what area of the company -- Sales or Marketing -- should be involved at each stage. Instead of areas that Marketing handles and areas that Sales handles, what the customer needs defines what business area is engaging them at any point in time. The final two tactics can help make this happen. If you give them the opportunity, your customers will tell you what they want to buy, how they want to buy it, what questions they want answered and even how they intend on using your product or service. The way to do this is to get on the phone and actually interview customers. Even a brand new business, with no current clients, can interview prospective customers. These customer interviews can be very powerful for marketers because often the sales team will make the argument that they know what the customer is thinking because they are in personal contact. A properly conducted interview from a marketer will be much more open-ended than any sales-related conversations, and will hopefully elicit more honest responses based on their fact-finding, rather than sales-oriented, nature. Customers aren’t always absolutely transparent when telling a sales rep why they didn’t decide to buy, so Sales may have a skewed perspective. How often have you told a sales rep that the reason you didn’t buy was become of him? Take the time to interview many customers, and a good mix of customers. This means finding happy customers as well as unhappy customers, customers at both big and small companies, and people from every part of your customer demographic. Zhivago says after about five or six interviews within each different group, trends will begin to emerge. You can use those trends to see what promise you can and should be making to your customers. Some trends will be true across all your customers, and some will be specific to each group. The key is to learn what those customers think so you can develop a sales and marketing strategy to meet those needs at every step of the buying process. "By doing that my ultimate goal is then to solve so many of the disconnects between the various groups, because if you align the sales and marketing people with the customer's buying process, suddenly everybody is moving in the same direction," says Zhivago. She adds, "Everybody understands what their role is in that process. It changes everything and it really gets rid of a lot of the in-fighting and politics that are so common between the two groups." Once customers have been interviewed and trends in what the customer wants and expects are uncovered, Sales, Marketing and leadership can get together in a brainstorming session and actually map out the customer's buying process. This process will be unique to each set of customers, but it can be uncovered through customer interviews. For example, the set of buying process stages for a hypothetical B2B enterprise-level product might begin with a research stage and the customer getting 80% of their questions answered. At some point that customer will need to speak with a salesperson to ask those final questions and to receive the sales pitch. Mapping the customer's buying process will allow you to see what questions each type of customer has at each stage, and those questions determine whether Marketing handles providing the customer with information, or if it's time to hand that customer off to the sales team because the customer is through doing research and is ready to make the purchase. And this process both aligns Marketing with Sales, and it helps Marketing prove value to the entire buying process. The entire company is working with the customer to make the buying process easy and seamless. Without the process, the company potentially generates leads and then hands them off to Sales with no deeper understanding of the customer's wants and needs -- something that forces the salesperson to make a subjective decision on how to handle the lead, or even its worth. With a buying process mapped out, the customer's questions are answered as the customer is coming up with them, and more importantly is being sold to in the manner they want to be sold to. And you know this information because of the time spent doing customer interviews. Note: This was based on an earlier article, published Dec. 15, 2010. Kristin Zhivago's keynote presentation at B2B Summit 2011, on October 24-25 in San Francisco will feature a discussion of using customer interviews to improve the buyer's funnel, and Marketing's role in the organization.